A quality traditional exposed Richmond shower bar valve mixer with rigid riser kit, these shower kits incorporate traditional shower valves with a co-ordinating fixed head in a highly polished chrome finish. 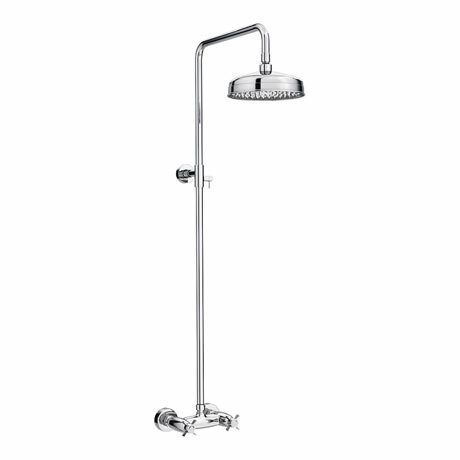 Features a classic and elegant design, the complete shower package for any period style bathroom. Supplied with 1/2 inch to 3/4 inch offset Connectors and Fittings.